Bigg Boss 11 seems to have gained momentum this week. After the unique nominations on Monday, the day of Tuesday was all about fights, indeed the biggest fights so far this season. The Salman Khan hosted show saw housemates at each other's throat. While on one side was those who supported Benafsha, the other one stood with Akash. 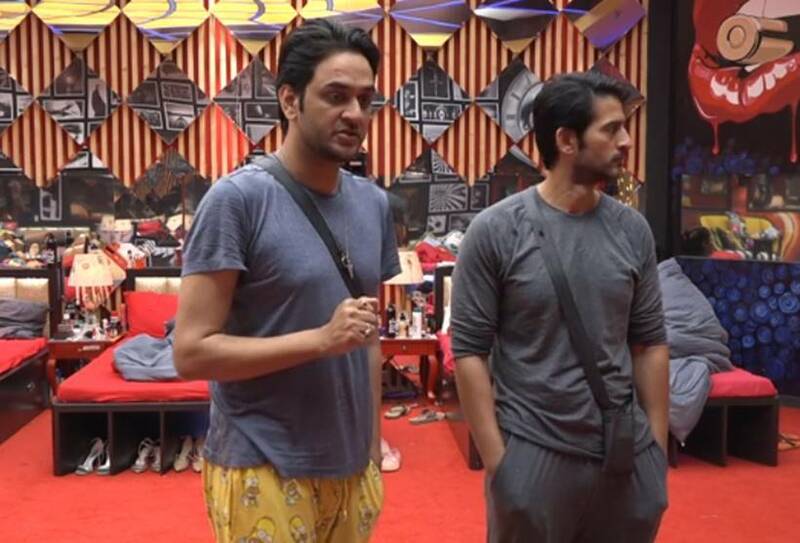 And the entire clash was around Akash's lewd comments on the female housemates, Benafsha in particular, as the latter took upon herself to expose Akash, but only to be proved lying at various points. The episode began with Puneesh and Bandgi sleeping together on the same bed, when Akash comes and pulls their blanket. He later apologises when the two scold him for doing that. Bandgi is telling Shilpa about Benafsha's attire. She tells her how Benafsha warned Akash not to ever pull her blanket in bed as she doesn't wear appropriate clothes while sleeping. Hina and Luv talk about what Akash has been speaking about Benafsha and her unhygienic way of living. Luv tells her everything that Bandgi spoke about Benafsha. They agree that Benafasha is indeed unkempt, but that doesn't give Akash the liberty to humiliate her infront of everyone. 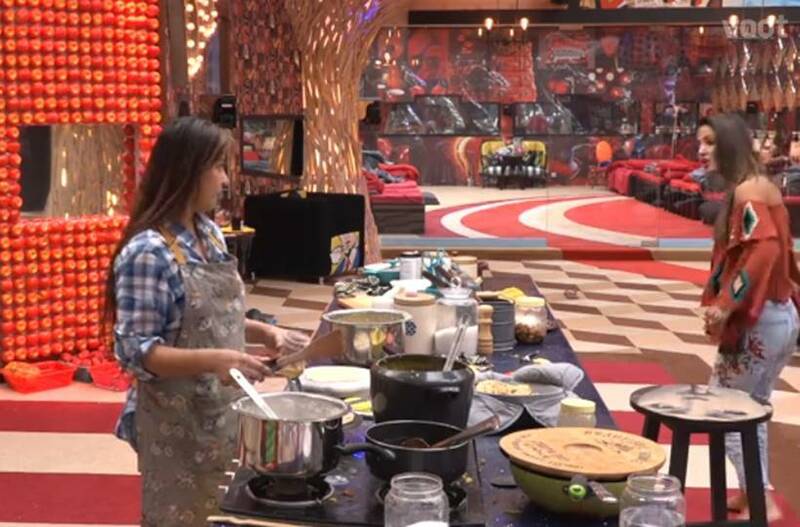 Sapna tells Hina that some people told her about how Akash passes comments about the bodies of girls in the house. The two discuss how Shilpa is defending him. Sapna tells Hina that Shilpa said Akash can say anything as he is a guy. Hina says Shilpa is just trying to be good to everyone. Benafsha is provoking Akash when he is inside the loo. She warns him that now that he has spoken so much about her, he will have to suffer. She tells him she will take revenge as whatever he did wasn't in good taste. She threatens him that she'll tear his blue jacket. Vikas comes to Hina, Priyank and Hiten and tells them what Benafsha is doing is nothing different from what Shilpa did to him. The three, in turn, defend Benafsha saying that the amount of insult she has faced from Akash is enough for any girl to lose their patience. Benafsha discusses about the entire fight with the celebs and tells them that she won't allow any guy, be it Puneesh or Akash, to come on her bed. Arshi tells Shilpa how Benafsha herself speaks about women bodies. So she has no right to point fingers at Akash. Vikas confronts Akash and the latter explains that he hasn't spoken anything what Benafsha has been claiming. 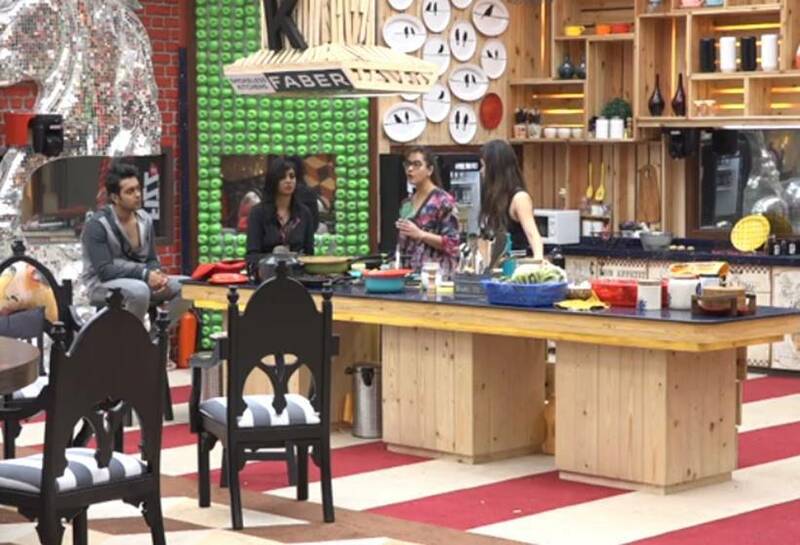 Benafsha tells Puneesh that Akash has been speaking a lot of things about him too. Puneesh says he is shocked to see Benafsha bringing up a four week old issue now. He gets angry when Vikas and Bandgi hold onto him. Priyank comes to Benafsha's rescue. Both Priyank and Puneesh get abusive and violent. Benafsha in anger pulls Akash's hair and says it was him who's the ugliest. 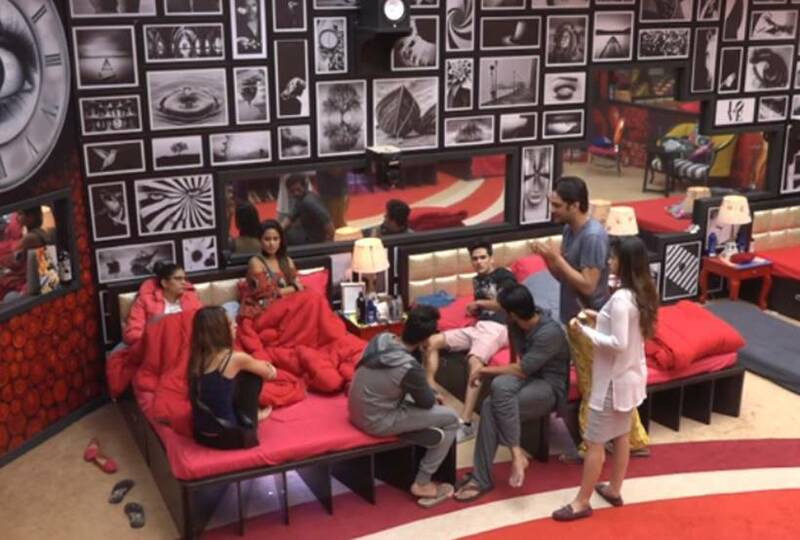 Everyone else tries to stop Priyank, Puneesh, Benafsha and Akash from getting into a physical spat. The entire atmosphere of the house gets too loud and ugly. Shilpa says how Hina loves footage and hence jumps into everything. Hina overhears it and says never to speak about her, as she isn't Vikas who will take anything from her. She says she is shocked to see how Shilpa is supporting Akash and mocking Benafsha and calling her mentally sick. She confronts Shilpa and questions why she is trying to be a mother and not understanding who is at fault. Both the women make fun of each other. Akash calls Priyank and Luv, Hina's doggies. This infuriates the three who again target Akash. Arshi is laughing at everything as she tries to pull Akash away. Luv tells Shilpa that Akash was speaking about her body too, but Shilpa doesn't give any reaction. She later escapes to the washroom and cries.